A chip off the old teapot, he is! Cute as a button, this cheery Beauty and the Beast Chip 8 oz. Sculpted Ceramic Tea Cup features hand painting combined with printed artwork to create the fantastic details you see. Chip measures approximately 4 1/2--inches tall x 4 3/10-inches in diameter and comes in a matching full-color box. 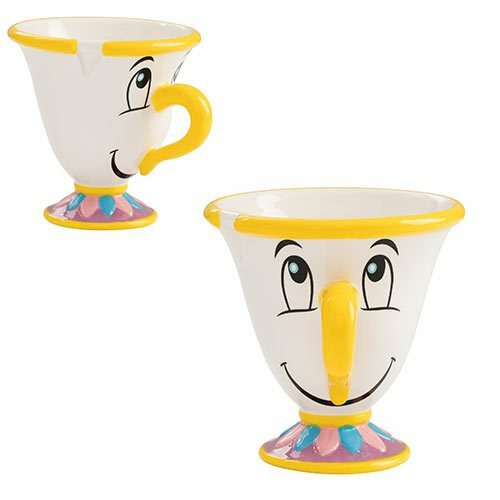 He makes a great gift for any Beauty and the Beast fan! Hand wash only. Not dishwasher safe. Do not microwave.